Yesterday NZTA began the Tender processes for City Centre to Mangere/Airport, and North West Light Rail where some 450 people (15% of them had to stand the room at the Viaduct Events Centre was that full) from I believe 22 nations (if I heard the NZTA CEO correct) heard from the transport agency the first steps of the Light Rail program. In April, the government announced plans for a rapid transport network in Auckland to meet the city’s transport needs and rapidly growing population. The Transport Agency is leading the procurement for the project supported by its partners Auckland Council, Auckland Transport and HLC. NZ Transport Agency Chief Executive, Fergus Gammie, says that market engagement marks a significant milestone for the project. “Market engagement getting underway brings the reality of light rail one step closer for New Zealanders and provides an opportunity to discuss the project with people nationally and internationally who can bring the right skills, technology and equipment to deliver the project when the time comes. “We want the best and the brightest in the industry to be a part of this first for New Zealand, our largest ever infrastructure project. Light rail will provide a modern integrated transport system with seamless connections, comparable with transport systems in international cities including Sydney, Melbourne, Portland and Manchester. 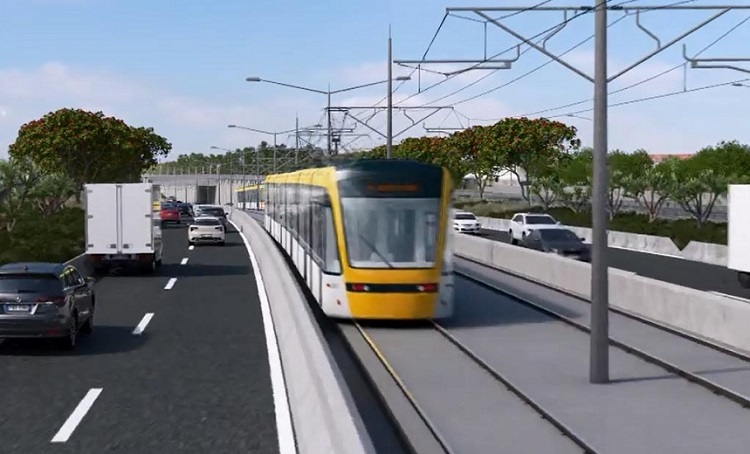 It will run between Auckland City Centre and Māngere, connecting the city’s two largest employment hubs including Auckland Airport, and between the City Centre and the Northwest to support urban growth. The project will combine transport and urban planning to provide housing and urban development along the future light rail corridor so that communities have better access to jobs, education and recreation. The industry briefing provided information on the overall project and the market engagement process. Following the briefing, meetings will take place with interested participants. The Transport Agency will work with Treasury and the Ministry of Transport to ensure the best process is in place to assess all potential proposals and report back to the Ministers of Finance and Transport. If NZTA are wondering, I was invited along by a counterpart to listen in as an Urban Geographer and Researcher. Given the NZTA CEO and the Official Information Act requests have both stated that the Light Rail lines are more than just transit lines they are to be fully integrated packages alongside urban development AND the fact one of the Lines runs through Southern Auckland then of course I am going to be extremely interested in what NZTA have to say for themselves. In any case a lot to take away from the briefing today and a lot to work on as well. I did note there was a huge start on how the projects need to be Integrated (with urban development) led but that question was left wide open on how. No matter (and also see: Urban Geography Thoughts on City Centre to Airport Light Rail, and Airport to Botany Rapid Transit). Will be interesting to see as the journey continues along.